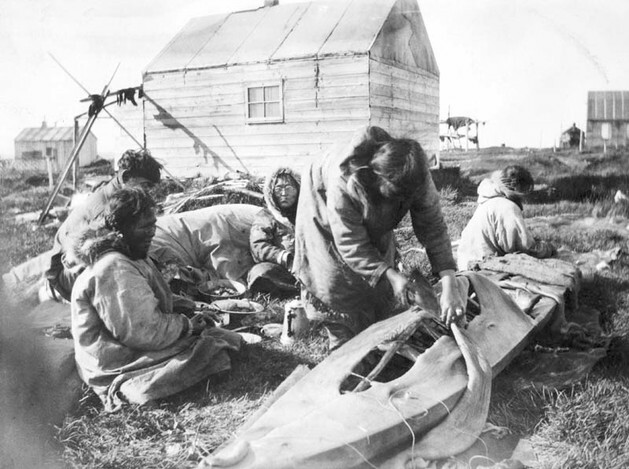 A woman re-covering a kayak uses an ulu to trim the walrus skin. Northern Alaska. Courtesy of the Archives, University of Alaska Fairbanks, Presbytery of the Yukon, 1995-0244-00879.